Found one of those websites that advertises every classic car that is for sale worldwide, and it included three Facels from the well known St Louis, Missouri classic car dealer Mark Hyman at Hyman Ltd. One of them, however is right hand drive, so it was worth further investigation. 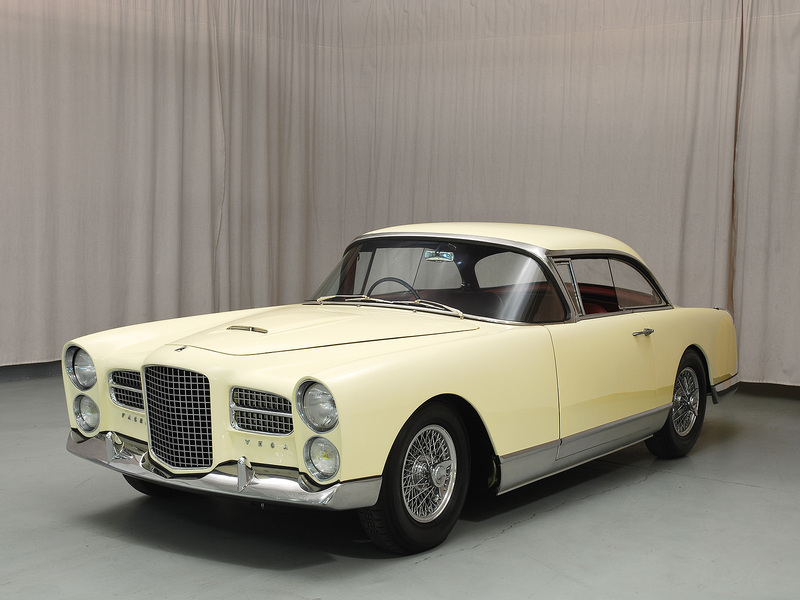 Hyman is quite a Facel specialist – he’s usually got one or two in stock – and it turns out that this one is the ex-Christopher Soames HK500 that was offered by RM in London in one of about four auctions crammed into last September, and which failed to sell. Hyman always has some interesting cars and they are always well photographed in studio conditions, as you can see. A full inventory is here http://hymanltd.com/view/inventory/ . There’s a couple of Citroen SMs, a convertible DS, a Willys Jeep, a Daimler Ferret scout car and all sorts of interesting stuff. The other two Facels are both left hand drive and include another HK500 in black and in good condition at $260,000 and a pale grey Facel 11 with the bigger 413ci/6.7 litre Chrysler engine at $375,000.